Here is your weekly round-up of crime across Midlothian, for January 8-14, as reported by Police Scotland. On January 8, funded MCAT officers on patrol in the area of St Andrew’s Street, Dalkeith recovered a small quantity of cannabis on a 25-year-old man. The man was charged, and a report has been submitted to the Procurator Fiscal. On January 8, officers on patrol on the City Bypass near Dalkeith, observed a vehicle driving erratically. The vehicle was stopped, and a small quantity of cannabis was recovered. A report has been submitted to the Procurator Fiscal. On January 9, officers on High Street, Dalkeith, attended the report of a shoplifting. Officers traced a 36-year-old woman, and a 35-year-old man, and both were charged in relation to the incident. A report has been submitted to the Procurator Fiscal. On January 9, officers attended a report of a shoplifting on Eskbank Road Dalkeith. Officers traced a female, who was later charged in relation to the incident. A report has been submitted to the Procurator Fiscal. On January 10, funded MCAT officers on St Andrew’s Street, Dalkeith, recovered a small quantity of Cannabis in the possession of a 31-year-old man. The man was charged, and reported to the Procurator Fiscal. On January 12, officers attended a report of a vehicle driving erratically on Edgehead Road, Dalkeith. The vehicle was stopped, and the 23-year-old female driver found to be under the influence of alcohol. The woman was charged in connection with the incident and a report submitted to the Procurator Fiscal. On January 8, officers on patrol in Bryan’s Avenue, Newtongrange, observed a vehicle driving erratically. The vehicle was stopped, and the driver found to have no insurance. 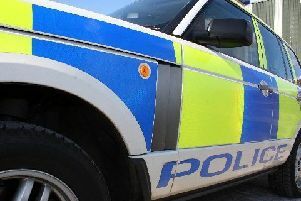 The vehicle was seized, and the driver charged, and reported to the Procurator Fiscal. On January 12, officers observed a vehicle driving erratically in Fifth Street, Newtongrange. The vehicle was stopped, and the driver found to be without insurance. The vehicle was seized, the male driver was charged, and a report has been submitted to the Procurator Fiscal. On January 12, officers observed a vehicle driving erratically in Newbattle Road. The vehicle was stopped, and the driver found to be without insurance. The vehicle was seized, the male driver was charged, and a report has been submitted to the Procurator Fiscal. On January 9, officers attended a report of an attempted housebreaking at Vogrie Crescent, Gorebridge. A man has been traced and charged in relation to the incident and a report has been submitted to the Procurator Fiscal. On January 11, officers searched a property under warrant, in the area of Gaynor Avenue, Loanhead. A quantity of cocaine and cannabis were found within. A man and a woman have been charged, and reported to the Procurator Fiscal.